Volleyball is back. This season, the Cardinals look to build off their incredible NESCAC-winning campaign of 2017. Last year, the team posted an impressive 22-6 record, making it to the second round of the DIII NCAA National Tournament. The Red Birds are returning many of their key players from last season, such as libero Phia Bellizzi ’21. She believes their continued success will rely on learning lessons from last season. Discipline is obviously a hallmark of a great sports team. It allows teams to overcome obstacles in crunch time and separates good teams from average ones. However, discipline is not the only characteristic that the Cardinals are focusing on. Especially in a sport like volleyball, chemistry is one of the more valuable traits a team can possess. Due to their past success, the Red and Black are setting the bar high this season, and they have every reason to. The team is returning last year’s NESCAC Player of the Year, outside hitter Nicole Hilton ’20. Racking up numerous accolades, Hilton was a dominant force on the court last year, and the program is certainly happy that she is with the Cardinals for another two years. So, what will it take to bring home another league championship? The team has carefully planned out their preparation. The future is bright for the Cards, but our eyes shouldn’t only be on the players. What makes the clock tick? Or, should I say, who? The coaching staff—a remarkable group of leaders and recruiters—are creating a volleyball powerhouse here at Wesleyan. 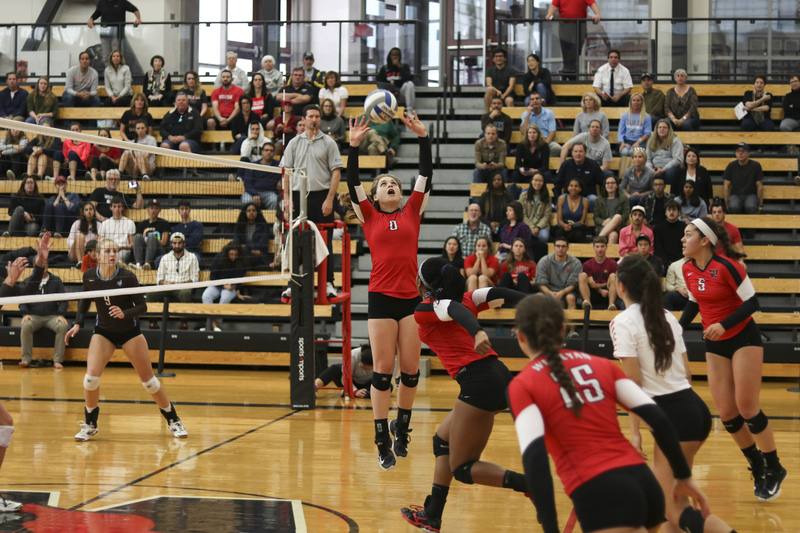 Ben Somera returns as head coach for his fourth season here, and his vast array of Division I experience has allowed him to turn Wesleyan’s volleyball program into a perennial winner. In addition, assistant coach Aly Torline has contributed significantly to the team on and off the court. Her leadership and guidance have given the players a helpful outlet for all things volleyball. This year looks very promising for the Red and Black. With consistent leadership, this team has a chance to go all the way. The Cardinals’ first match is an away game against Ithaca College on September 7. Ben Owen can be reached at bowen@wesleyan.edu and on Twitter @benjaminowen28.